Back to the baking bench, EPR’s gingerbread enthusiasts have once more risen to the challenge of creating a beautiful building crafted entirely from biscuit. 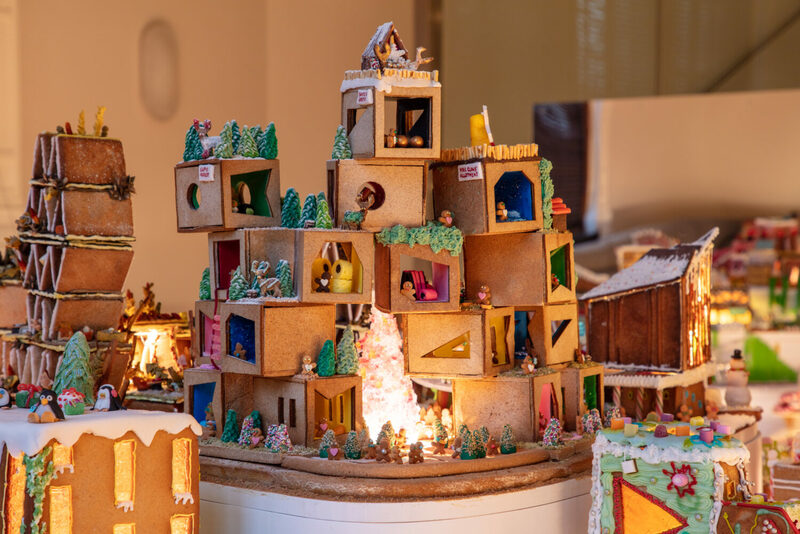 Our entry for 2018 aims to inspire a new generation of gingerbread lovers, comprised of a modular art gallery which rises from the ground through a series of vibrant cubes. Ladders and slides playfully link the gallery spaces, encouraging visitors to be active when meandering through the volumes. Not confined to the building itself, the gallery bleeds into the town square; a place where people congregate to share gingerbread ideas and stories that one-day could be replicated in the gallery spaces.